I have been traveling and as usual stay quite busy . . . but here we are! So, I just spent the latter part of last week into this past weekend in Los Angeles attending important events relevant to UDUAK LAW FIRM’S Fashion & Entertainment practice, among other things. Unfortunately, I had to dash back for an important commitment in the Bay Area. All in all, however, good times and I hope to share images and more details about a few of the event(s) I attended in the nearest future. Nevertheless, I wanted to highlight this event, which I did not attend, but deem relevant that took place on Sunday June 26th, 2011 called Crème of the Crop. Crème of the Crop is an event produced by Interscope Geffen A & M Records which is now in its fifth year. Shoutout to Interscope Records who now follow @uduaklaw on twitter. Crème of the Crop is hosted and produced by Interscope Records executives Troy Marshall, Marlon Single and Laura Wright (public relations). It is a high profile event that takes place at the reputable Mr. Chow restaurant in Los Angeles. In attendance are usually some of the best of the best in the entertainment industry: rockstar lawyers, record label executives, managers, artists etc. What I find most compelling, however, is not necessarily the fact that the event is a high profile event or that it attracts the stars, although impressive. To me, what is significant is that a group of individuals got together five years ago and said essentially, “let’s have a private dinner for us executives, artists etc. where we can grow, network and build a formidable force.” We are in 2011 and look where the idea and event is? As one of my facebook updates today said, “if you can dream it, you can achieve it!” Now go make it happen! For 2011 pictures from the Crème of the Crop event, click here. Photo description: Nigerian recording artist and Mo’Hits Executive D’Banj at event. 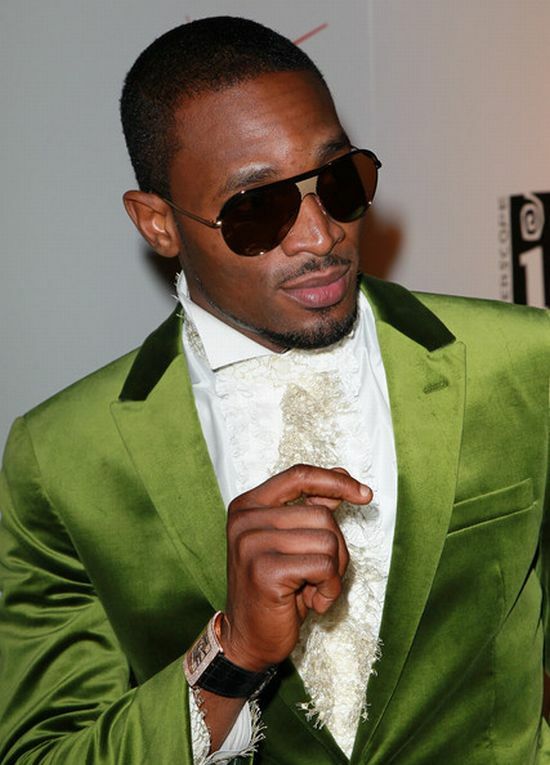 D’Banj has a music deal with Kanye West’s G.O.O.D. music label which has now a subsidiary of Island Def Jam. Read UDUAK LAW FIRM Blog/Fashionentlaw.com analysis of D’Banj and Kanye’s music deal here.